Last year at this time, I did a year I’ve with some insights from the previous 12 months. It was a challenging year on several fronts with some terrific highs and very low lows. As I came out of 2014, I made more of a commitment to growth 2015. I’d try to take the highs from 2014 and emphasize them. Here’s what that picture of last year looked like. 2014 had its ups and downs. It started uncertain, had a rough middle, and finished on a great note. This year I thought I’d take a different approach. There weren’t monumentous events like in 2014 so the year was more evenly spread out. My blog posts are my way of recording what’s on my mind and what I’m doing so taking stock of what I’ve captured is a solid way of summing it up. I’d also made a commitment to being creative and building my own work and the blog was the place to see that. The first thing I did was make a list of everything I’ve published. It was apparent that it all fit in a few main buckets. I went through each post and color-coded it to the categories while noting the date. 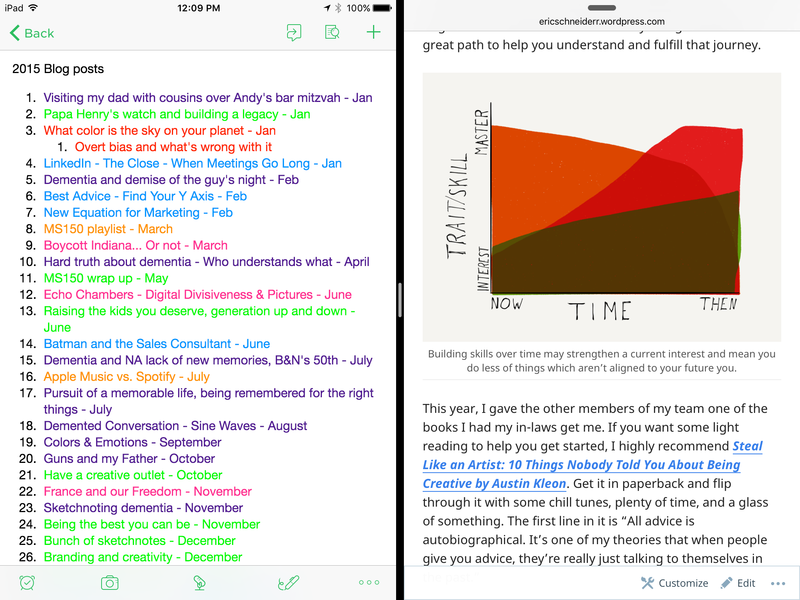 Reviewing the year’s blog content on my iPad. Here’s how that cadence looked over the year. 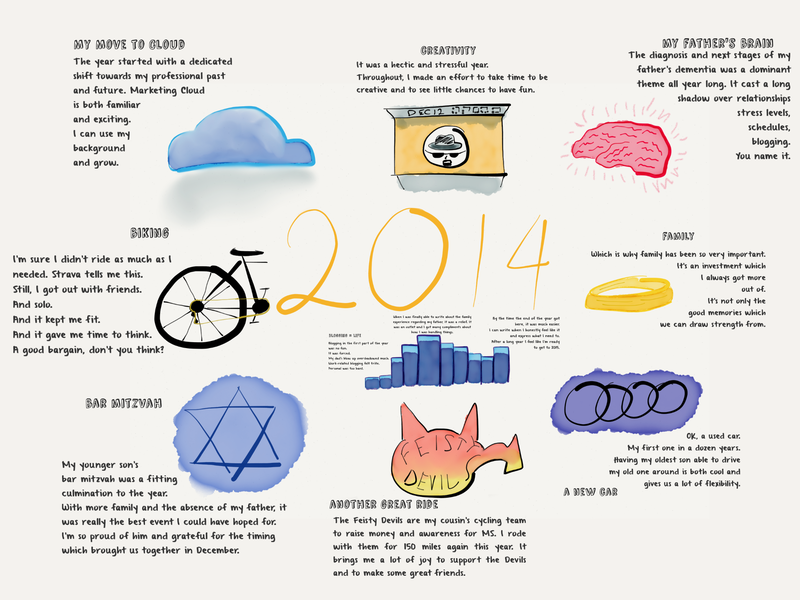 There was a lot in December but some of those were Sketchnotes. They took time to create but not as much as drawings combined with blog posts. Overall, I kept a good cadence of posts. I was able to write when I thought I needed it and take breaks too. To get an idea of how much of my time I spent on each topic, I added up the posts. I feel good about the content mix overall. My dad is a tough topic to write about and I managed to do that nearly every month. It was the most written about subject but I put in nearly as much time on self improvement. That helps me write about the person I try to be for myself, my family, my friends, and my colleagues. The geeky stuff is fun. I enjoyed comparing Spotify and Apple Music. Talking about what I liked in Star Wars: The Force Awakens was good too. 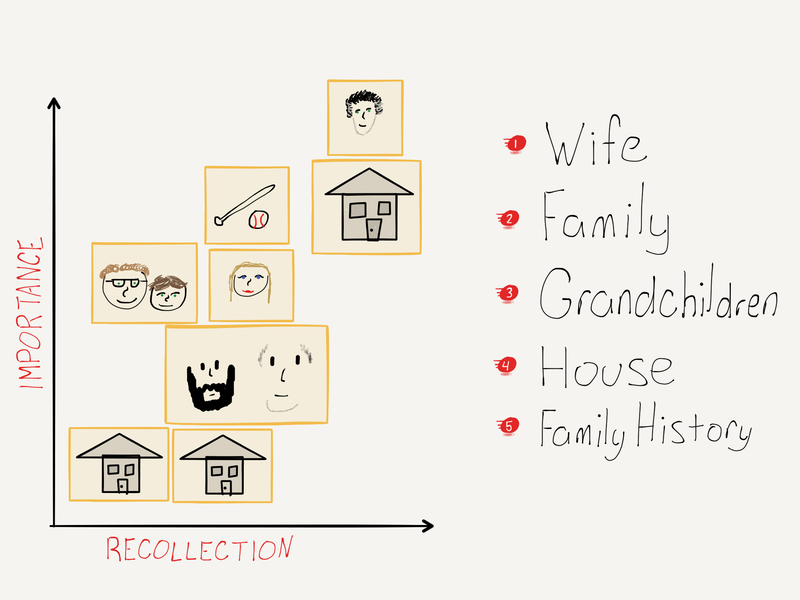 I did add a new category for Digital Divisiveness. I can envision writing more about that in the election year to come. There’s a lot of nastiness in our society which is coming out of the shadows and I believe it’s necessary to shine some light on it. What I wrote the most about and how I captured ideas visually. The charts above are hand drawn and reflect my effort to sketch more. 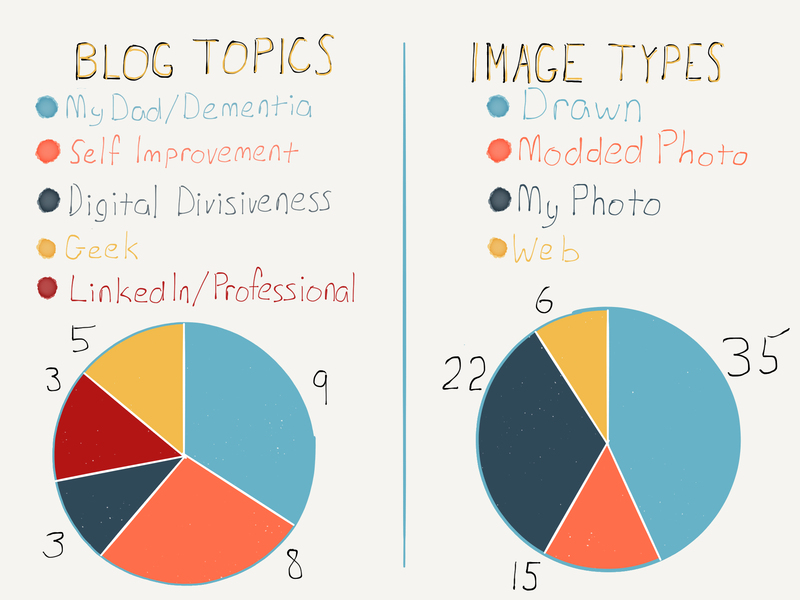 You can see that I drew nearly half of the image content in my blogs (this one isn’t counted above) and even many of the pictures I did take were modded in some way. They could have been combined or marked up to make a point. The only content I really downloaded and used as-is were tweets or Star Wars posters. Again, this has been an effort I’ve made all year. I’ve been using white boarding to guide discussions at work and have shared sketches with clients to help them understand the points I’m making. I even got a compliment on my handwriting which may be a first in my life. These numbers don’t account for anything drawn on the top of a carton of half-and-half or the bit of ridiculousness that is boozyfruitsketches.tumblr.com. Lots of road warrior action this year. 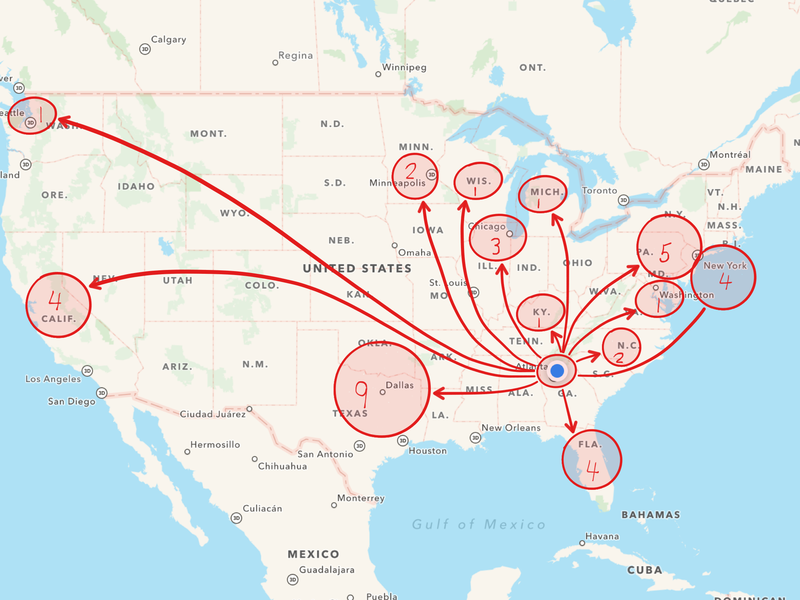 Numbers of trips to different locations. Lastly, I spent a good bit of time on the road this year. Most was for work but some was for family vacations. The great trips with my family are payback to all of us for the business travel. Some of the work travel is kind of glamorous but I was sick that whole trip to Grand Rapids and the Uber ride back to Newark through the rain with no time to spare wasn’t even as fun as it sounds. 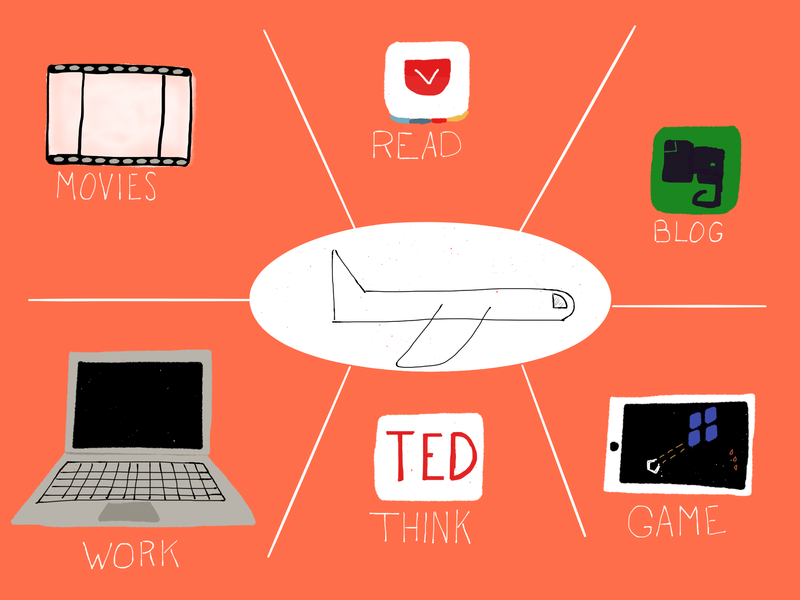 The positive side of this is that I’ve gotten good at using my time in the air. It’s where I can unplug and get uninterrupted me time. 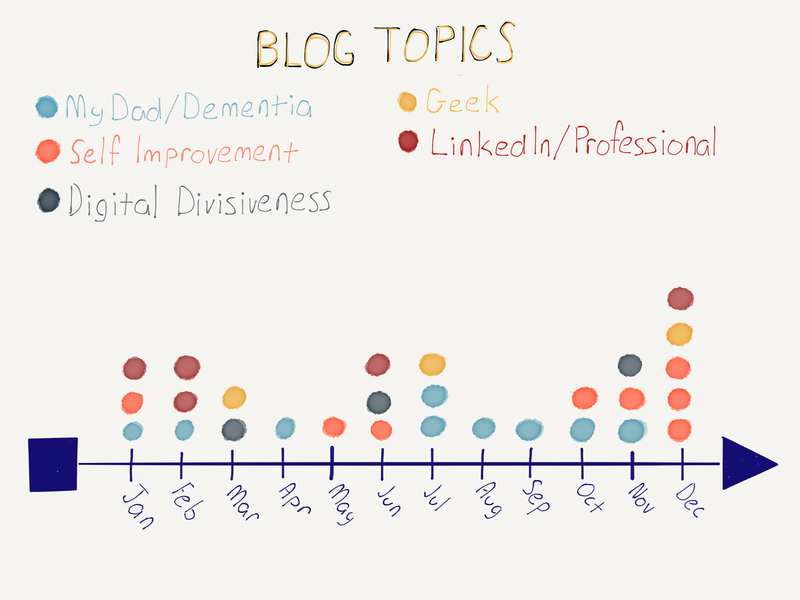 Demented Conversation, Colors & Emotions, and Sketchnoting Dementia. Even though these were very difficult blog posts to write, I was able to get creative with them. I’d taken Skillshare courses from Shantell Martin and Catherine Madden right as I put those together. Both classes helped me pursue different angles I may not have found on my own. France and our Freedom I liked purely because of an insight which hit me about the French flag. The Tricolore is a perfect visual for the gulf between the right and left in the USA right now. The white space belt week them seems to be ever shrinking. Every comment made on a controversial topic immediately gets put in the red or blue boxes by people reading it and aggressively defended or assaulted. I’ve defriended a couple people over this in 2015. The more bias I see, the less hope I have for our country. Here’s to less of that and more real conversations in 2016. On the geeky side, I liked putting together the post comparing Apple Music to Spotify. We were at a family reunion when I started the trial of Apple Music so I had ample time to try it as traveled. For reasons in the blog, it never clicked with me. All the side-by-side pictures summed that up nicely. Lastly, I enjoyed writing this post on LinkedIn about a very long time-crunched meeting I was in. I realized that what I was supposed to say would completely fall flat if I left it as-is because I was the very last presenter. I changed it up in a way which grabbed the exec’s attention and nailed the content in about 1/3 of the time I’d planned on having. Then I found out that my boss had dialed in remotely and heard the whole thing without me realizing it. When in any meeting, you need to balance the audience’s priorities, you priorities, and the time you’ve got. Thanks for reading as much as you have. Thanks for every comment here, on other, networks, and in person. Have a great 2016.